“Tangerine Dream is science fiction!” declared band frontman Edgar Froese, who died aged 70 in January 2015. For almost fifty years he and his band Tangerine Dream explored sound and its effect on our emotions. 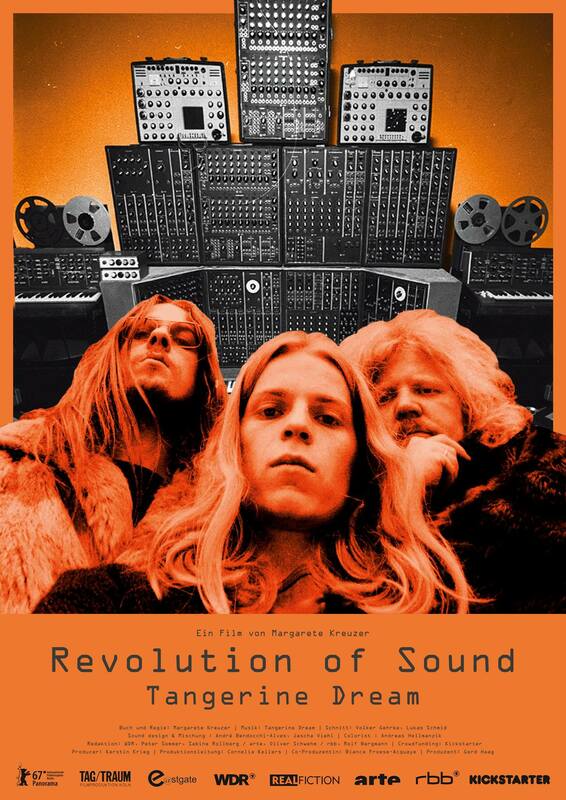 This film about one of Germany’s first electronic bands kicks off with the young Berlin musicians who were as inspired by the space age of the 1960s, with its rocket launchings and visions of the future, as they were by their own heartbeat, on which Froese also based compositions. Aided by the Moog and other synthesisers, Froese (and various band members) revolutionised popular music. The film is a blend of amateur footage, interviews with band members, relatives, friends and colleagues such as Jean-Michel Jarre, and creates a comprehensive portrait of an artistic pioneer.